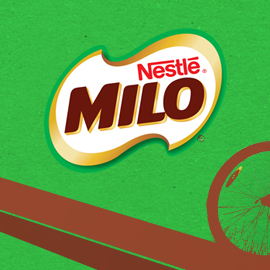 MILO is a popular and much loved beverage in many countries, especially in South East Asia. Originally it is a tasty and nutritious drink with chocolate and malt powder that can be mixed with milk and/or hot or cold water to produce a beverage. And now it comes in different formats, such as drink in cans, cartons and pouches; etc. Families especially kids love it because it not only delivers nutritional goodness and energy but also offers a great chocolaty taste. Now it’s your chance to invent a new beverage (an original product idea + packaging design) based on the popular MILO, by combining with some other ingredients (by using some technology; etc.) to make it more fulfilling, substantial or hunger filling for breakfasts or whenever people want to feel replenished or refueled. Format: Presentations with pictures or illustrations and text (in PDF format). This contest will end on September, the 29th. Do not hesitate to contact us through the discuss tab for any questions.